How to Book Jewel Bottle Service at Jewel Nightclub? Trying to secure Jewel bottle service at Jewel Nightclub in Las Vegas NV at the Aria Hotel with a reliable company that will process your booking worry free without any issues upon your arrival? 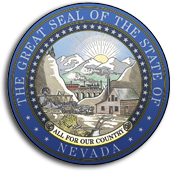 Las Vegas Nightclubs Inc. would like to handle all of your nightlife needs at this 24,000 square foot venue. 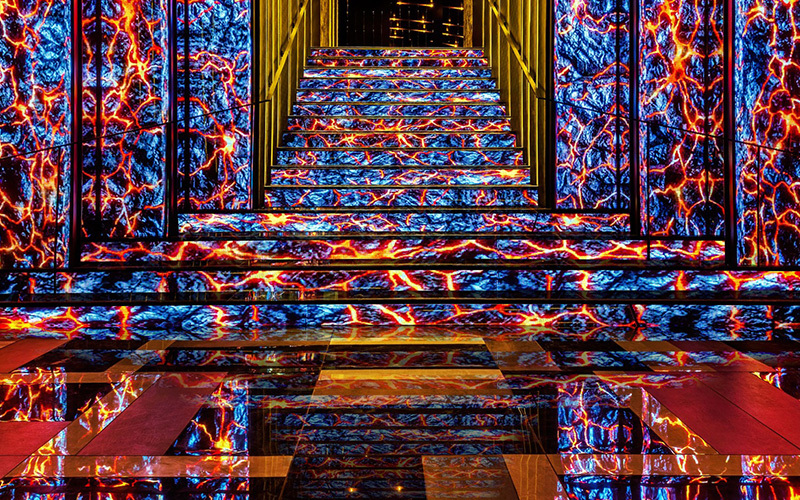 This nightclub has a total 47 VIP table locations with 36 on the Main Club, and 11 on the Mezzanine Balcony level. The main club has 5 table location types to choose from including 1 Owners, 7 Stage, 10 3rd Tier, 8 2nd Tier, and 7 Dance Floor tables. The Mezzanine Balcony level has 2 table location types including 6 Balcony, 5 Skybox Suites that include The G.O.A.T., The Gallery, The Blind Tiger, The Prestige, and The Studio. If you are trying to find out how to book Jewel bottle service at Jewel Nightclub in the Aria Hotel, you have come to the right host agency. The table minimums pricing is determined by the performing talent, day of the week, and whether it’s a holiday or not. Table minimums are estimated to start as low as $1,500 and reach as high as $10,000. The table minimums on Sunday, and Thursday are generally cheaper than on Friday and Saturday, and holidays you can expect things to cost even more. The performing talent is the number 1 determining factor of the price of the table minimums. How much are Balcony tables for Jewel bottle service at Jewel Nightclub? Balcony tables has 6 locations on the Mezzanine that require table minimums that are estimated to start at $1,500 on Monday and Thursday. On Friday and Saturday Balcony table minimums on the Mezzanine are estimated to start at $4,000. Pricing is an estimate based on 8 people in your group and is subject to change at any time. 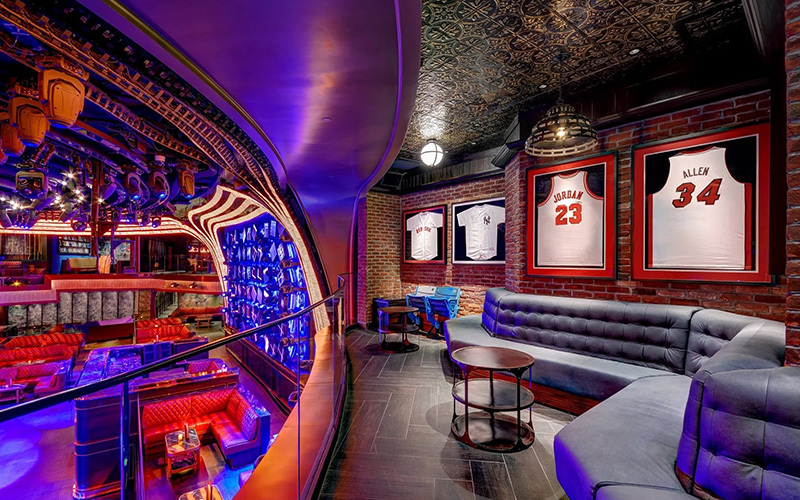 How much are Skybox Suites for Jewel bottle service at Jewel Nightclub? Skybox Suites has 5 locations on the Mezzanine that require table minimums that are estimated to start at $2,500 on Monday and Thursday night. Friday and Saturday night table minimums for the Skybox Suites are estimated to start at $5,000. The 5 Skybox Suite location type are each individually themed with their own name which include The G.O.A.T., The Gallery, The Blind Tiger, The Prestige, and The Studio . Pricing is an estimate based on 12 people in your group. How much are 3rd Tier tables for Jewel bottle service at Jewel Nightclub? 3rd Tier tables has 10 locations on the Main Club Level that require table minimums that are estimated to start at $3,000 on Monday and Thursday. On Friday and Saturday the table minimums for 3rd Tier tables on the Main Club Level are estimated to start at $5,000. Pricing is an estimate based on 8 people in your group and is subject to change at any time. How much are 2rd Tier tables for Jewel bottle service at Jewel Nightclub? 2nd Tier tables has 8 locations on the Main Club Level that require table minimums that are estimated to start at $4,000 on Monday and Thursday. On Friday and Saturday the table minimums for 2nd Tier tables on the Main Club Level are estimated to start at $6,000. Pricing is an estimate based on 8 people in your group and is subject to change at any time. 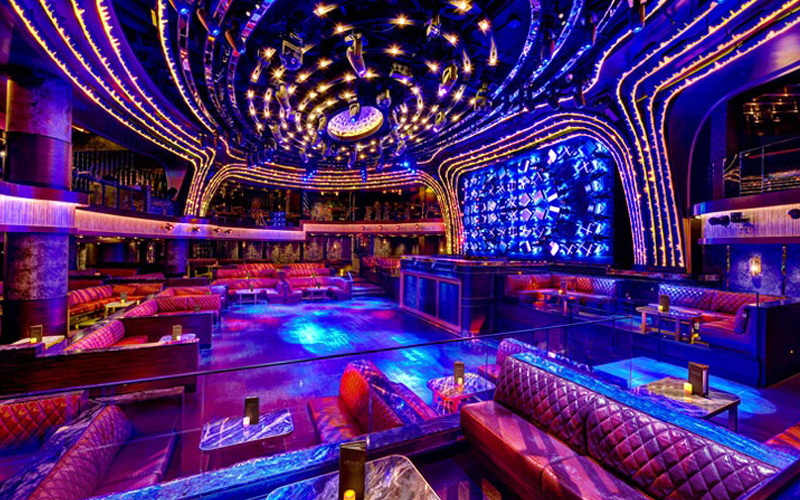 How much are Stage tables for Jewel bottle service at Jewel Nightclub? Stage tables has 7 locations on the Main Club Level that require table minimums that are estimated to start at $5,000 on Monday and Thursday. On Friday and Saturday the table minimum for Stage tables on the Main Club Level are estimated to start at $10,000. Pricing is an estimate based on 8 people in your group and is subject to change at any time. How much is the Owners table for Jewel bottle service at Jewel Nightclub? Owners Table has 1 location on the Main Club Level that requires a table minimum that is estimated to start at $7,500 on Monday and Thursday. On Friday and Saturday the table minimum for the Owners table on the Main Club Level are estimated to start at $8,000. Pricing is an estimate based on 8 people in your group and is subject to change at any time. How much are Dance Floor tables for Jewel bottle service at Jewel Nightclub? Dance Floor tables has 7 locations on the Main Club Level that require table minimums that are estimated to start at $7,500 on Monday and Thursday. On Friday and Saturday the table minimum for Stage tables on the Main Club Level are estimated to start at $10,000. Pricing is an estimate based on 8 people in your group and is subject to change at any time. How much are champagne bottle prices for Jewel bottle service at Jewel Nightclub? Champagne ranges from $550 to 35,000 for 750ML to 15 Liters by top brand labels. Large Format Champagne is $3,500 to $35,000 for 3 Liters to 15 Liters by Dom Perignon, Veuve Clicquot, Pierre Jouet, and Louis Roederer. Magnum Champagne is $1,100 to $6,000 for 1.5 Liters by Dom Perignon, Veuve Clicquot, Moet & Chandon, Pierre Jouet, Louis Roederer, and Armand de Brignac. Regular Size Champagne is $550 to $2,500 for 750 ML by Dom Perignon, Veuve Clicquot, Moet & Chandon, Pierre Jouet, Beau Joie, and Louis Roederer, and Armand de Brignac. 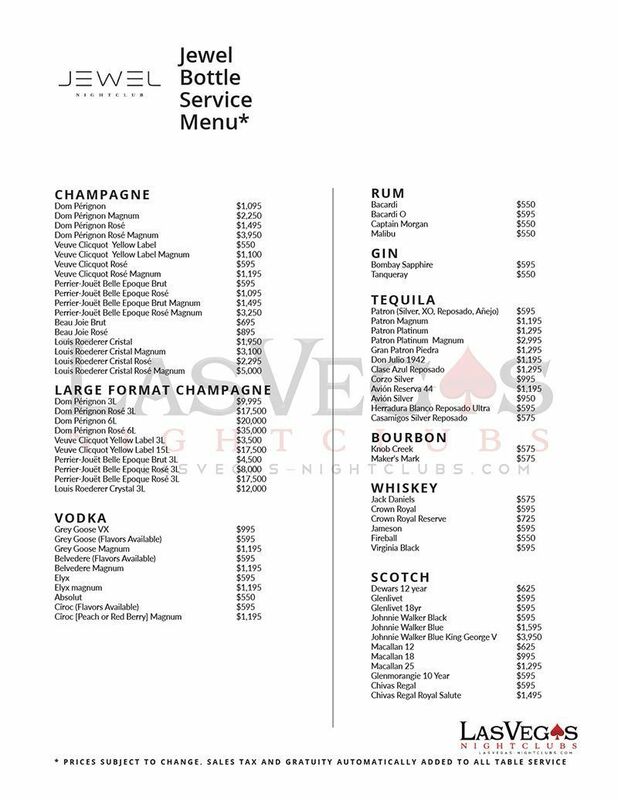 How much are liquor bottle prices for Light Nightclub bottle service at Jewel Nightclub? Liquor is $550 to $9,995 per bottle. Magnum Vodka is $1,195 for 1.75 Liters by So Bleu, Ciroc, ELYX, Belvedere, and Grey Goose. Regular Size Vodka is $575 to $995 for 1 Liter by Ultimat, Ketel One, So Bleu, Ciroc, Absolut, ELYX, Belvedere, and Grey Goose. Magnum Tequila is $1,195 to $2,995 for 1.75 Liters by Patron. Regular Size Tequila is $550 to $1,295 for 750ML by Casamigos, Herradura, Avion, Corzo, Clase Azul, Don Julio, Gran Patron, and Patron. Rum is $550 to $595 for 1 Liter by Bacardi, Captain Morgan, and Mailbu. Gin is $550 to $595 for 1 Liter by Bombay Sapphire, and Tanqueray. Scotch is $595 to $3,950 for Dewars, Glenlivet, Johnnie Walker, The MAcallan, Glenmorangie, and Chivas Regal. Congnac is $650 to $9,995 for 750ML by Hennessy, D’Usse, and Louis XIII. Bourbon is $575 for Knob Creek and Marker’s Mark. Whiskey is $550 to $725 for 1 Liter by Jack Daniel’s, Crown Royal, Jameson, Fireball, and Virginia Black. What types of Mixers are there for with Jewel bottle service at Jewel Nightclub? You will receive standard mixers of your choice. Your cocktail waitress will deliver your choice orange, cranberry, and pineapple juice, or club soda, tonic, Coke, and Sprite. You can order individual or 6 packs of Red Bull or Sugar Free Red Bull. 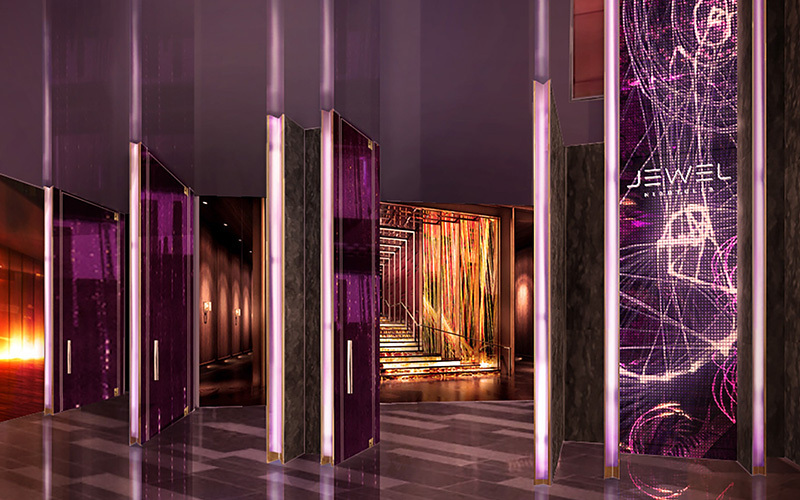 What happens after I book Jewel bottle service at Jewel Nightclub? After booking with our company, we will immediately email you a confirmation of the details of your reservation. You will also receive an email with instructions to follow in order to meet up with one of our hosts when you arrive. When you arrive, you will meet up with one of our hosts that will expedite the process of assisting you to your table where you will then be greeted by one of the lovely cocktail waitresses who will introduce herself and hand you a menu if we do not have your drink preference ahead of time. You can choose to pay with either cash or credit if you have not already paid in advance. What are the taxes and gratuities for Jewel bottle service at Jewel Nightclub? There is an 8.1% state tax. plus and 18% gratuity and a 5% table service on all table reservation. There is also a 9% admission tax on your admission ticket. Follow the links for Las Vegas bottle service information or check out our current at Las Vegas bottle service deals.